Shark Dreams, a new play about sharks! Here I am with the Jungle Theatre performers at their first preview – wonderful work! 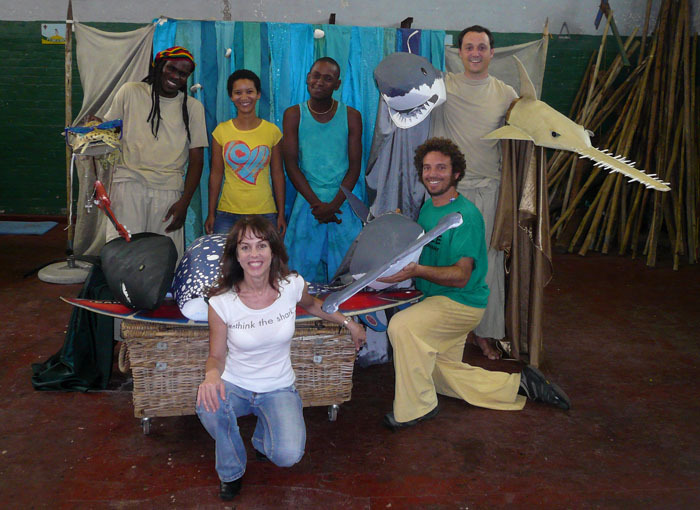 Jungle Theatre Company has the opportunity to bring our brand new play “SHARK DREAMS” to our local schools thanks to the City of Cape Town’s Youth Environmental Schools programme and the Save Our Seas Shark Centre. “Shark Dreams” has been developed in conjunction with the AfriOceans and their Shark Centre project in Kalk Bay and is based on the children’s book “Sue finds Happy Eddie the shy shark” by Lesley Rochat. The play is about a girl who dreams of sharks. She goes on a magical under water adventure in search of a missing shy shark. She rides on the back of a wonderful whale shark, she helps the bull shark and her puppies, she travels with the fastest Mako shark, she chats with the clever hammer head and meets many more fascinating sharks until the audience help her find Happy Eddie the shy shark. 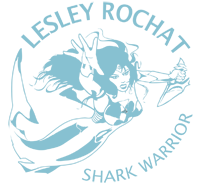 The play teaches children about ocean safety and about the important role sharks play in the ecology of the sea. The play is suitable for grade 4-7s. Shark Dreams will be performing in schools 29th of April till the 8th of May. We have arranged with a school to host the press. Please call Yvette Joshua 021 788 5641 for details. Go to the Jungle Theatre to find out more about their work.